Trying to find a VBAC supportive health care provider can be a (very, very) difficult process. Understandably, some women choose to call various providers rather than meet with them face to face. This woman’s experience illustrates the pitfalls of this method. While VBAC is not a household term, it should be a familiar one among an OB’s front office staff. 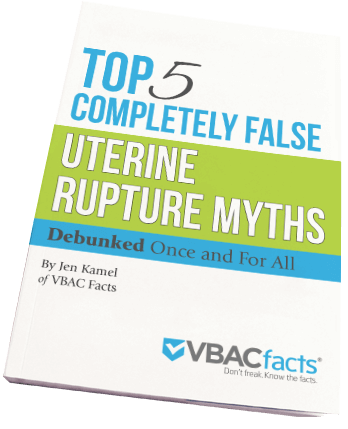 Perhaps this will prompt more providers to have a quick discussion with their staff about VBAC and maybe even pass out a copy of my Uterine Rupture Report so everyone who interacts with patients has a basic working knowledge of the topic. Of course, this is the experience of one mom at one OB’s office and certainly doesn’t reflect on all the dedicated and intelligent individuals who work at OB offices throughout the world… simply this one. For tips on interviewing care providers, including how to present yourself and specific questions to ask, go here. Wow! I would like to say I’m surprised but having searched for a vbac friendly ob in the Dallas-FtWorth metroplex, I am not. It was pretty amazing the education I had to give them to just find out an answer to a yes or no question. After finally finding one, I realized after having to have a repeat section, I should really have asked if ALL the obs in the office were vbac friendly. Unfortunately, my ob who”does ALL his vbacs” was in Vegas for a conference & I got stuck with his back up who had no interest in me what-so-ever. Had too many interventions and ended up running a fever so off to the OR I went. I hope this info helps others in search of a vbac friendly OB. ICAN of Orlando has done surveys in Orlando by calling all the OB offices in town (I know, a huuuge undertaking, right?!). We have been told vbac is illegal, that there is a 50% chance a baby will die, and all kinds of other outrageous statements, all from the person *answering the phone*. It was like every time we got an insane answer we were motivated to call more and more offices. It was incredibly exhausting and disheartening. Granted, this was five-ish years ago, but still…the misinformation out there is terrible. What’s more is that we recently had a mom with a low transverse scar show up to vbac in a hospital and somehow her previous medical records didn’t make it over there. She was quoted a rupture rate of “up to 15%” if she had a special scar. Again—WRONG! Even sometimes in the hospital the information is misquoted. Luckily this mom knew her stuff and agreed to accept the risk that she found to be most acceptable for her family. She then pushed out her 9lb baby without issue. Hmmm. Excellent marking skills in THAT OB’s office!